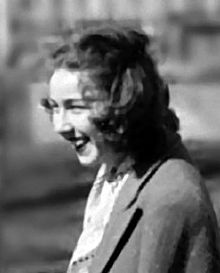 Mary Flannery O’Connor (March 25, 1925 – August 3, 1964) was an American writer and essayist. Author of two novels and 32 short stories, as well as a number of reviews and commentaries, she lived most of her life in Georgia, and she wrote in a style that is sometimes called “Southern Gothic” relying heavily on regional settings and grotesque characters. Her writing reflected her Roman Catholic faith and frequently examined questions of morality and ethics. O’Connor’s Complete Stories won the 1972 U.S. National Book Award for Fiction, and she is widely regarded as one of America’s most important and influential writers. This entry was posted on September 27, 2015 by Vox Populi in Humor and Satire, Opinion Leaders, Poetry, Social Justice and tagged A Good Man is Hard to Find, Flannery O'Connor.